Last year at the North American International Auto Show in Detroit, Japanese automaker Kia unveiled what would later become one of the most anticipated models, the 2018 Kia Stinger GT. Incredibly beautiful with a sculpted and aggressive design, the Kia Stinger GT demonstrates the creativity and talent of Kia's engineers. It’s a sport sedan with impressive performance and the same elegance that we’d find in a German luxury sedan. The 2018 Kia Stinger GT is so impressive that more than a hundred buyers have already paid for it in advance without trying it. That's the Kia Stinger GT is a nutshell. If you’re one of these buyers, you already know everything the new Stinger GT has to offer. 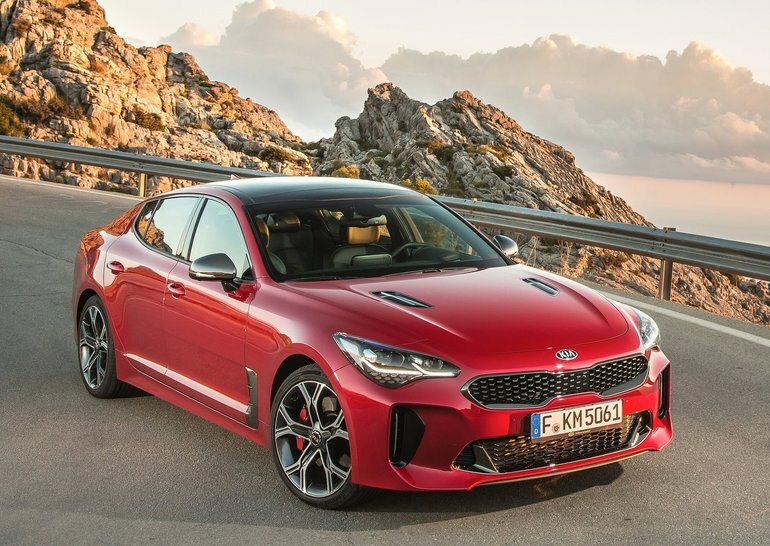 If you’re still unsure whether or not the 2018 Kia Stinger is for you, read on! For starters, know that the 2018 Kia Stinger GT has the engines to go with its spectacular design. A 2.0-litre turbocharged four-cylinder engine that develops 255 horsepower will eventually be offered, but for now we get the more powerful 3.3-litre V6 twin-turbo. The latter develops 365 horsepower and 376 lb-ft of torque, which is sent to all four wheels through an automatic eight-speed gearbox. With such performance at your disposal, it’ll be impossible not to have fun at the wheel of the 2018 Kia Stinger GT. But it’s not only under the hood that the new Stinger GT will impress you. The new 2018 Kia Stinger GT also offers a high-end cabin packed with equipment such as a rear-view camera, a blind spot monitoring system, an electronically adjustable heated steering wheel, heated and ventilated seats, and leather seats. Brembo brakes are tasked with slowing down the new 2018 Kia Stinger GT with confidence. With its new Stinger GT, Kia is directly targeting well-established German luxury sedans. To learn more about the new Kia Stinger GT, contact us today at Waterloo Kia.